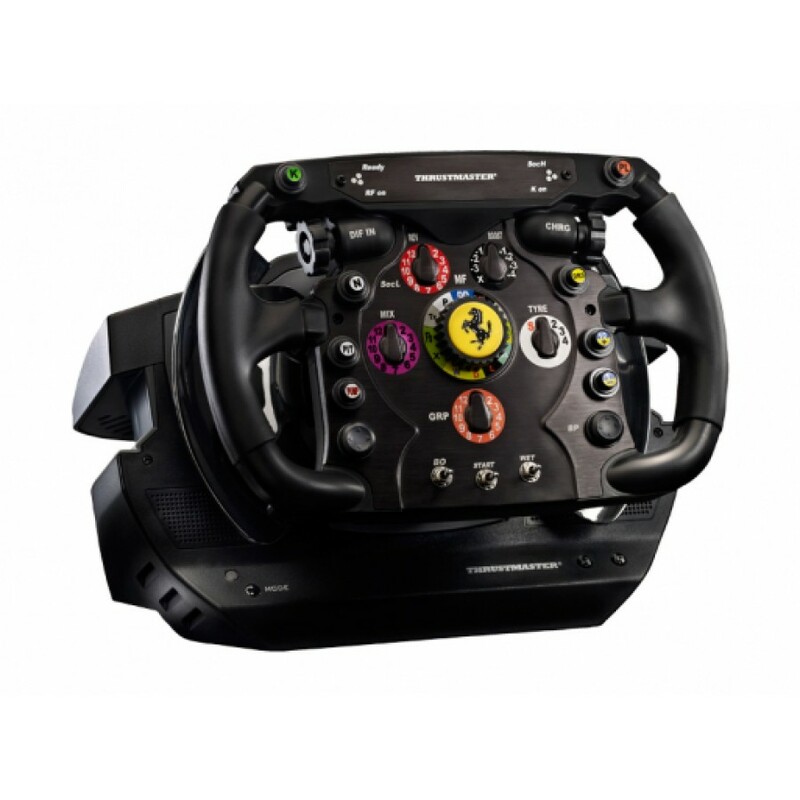 The Thrustmaster Ferrari F1 Wheel Add-On is a precise, robust and realistic racing wheel for use with your Thrustmaster T500 RS racing wheel. It’s a full-size replica of the Formula 1 Ferrari 2011 racing wheel, under official license by Ferrari, for the T500 RS. 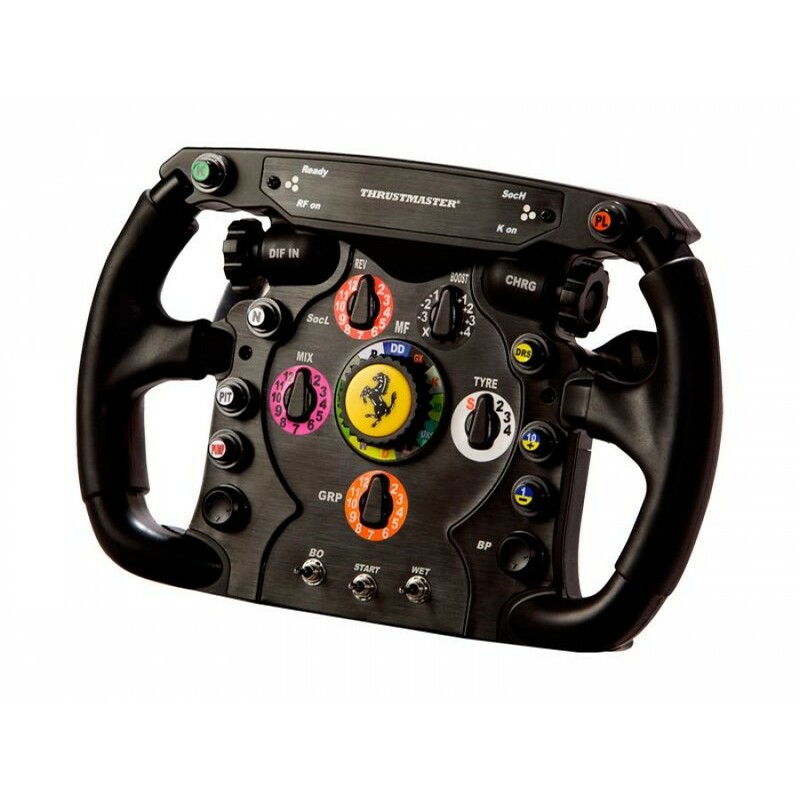 The Thrustmaster Ferrari F1 Wheel Add-On features a scratch-brushed reinforced metal facing ensuring optimum solidity and inertia. 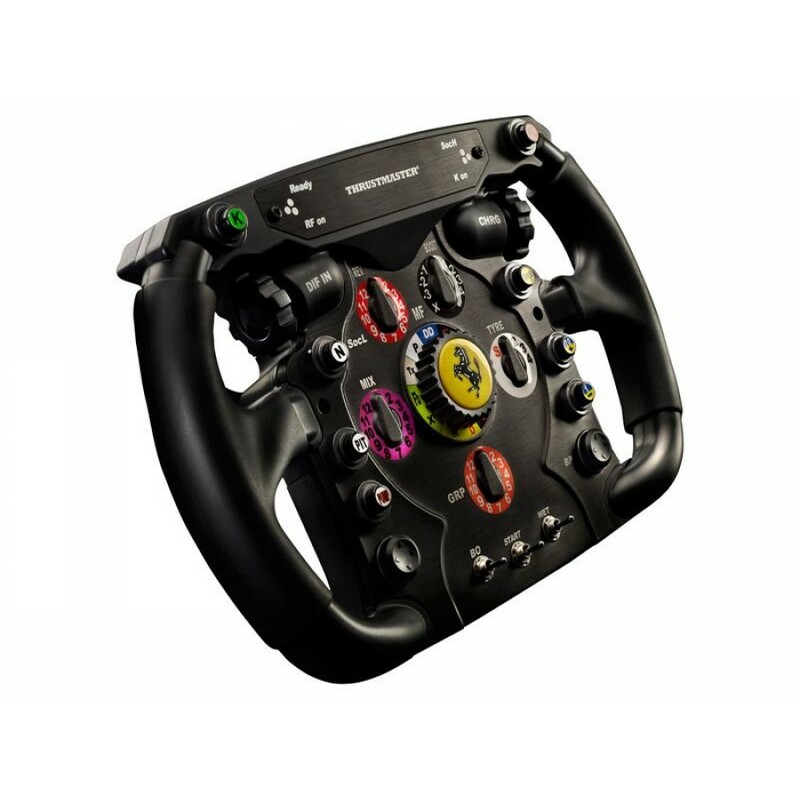 In addition, the scratch-brushed metal F1 “Push & Pull” sequential shifters are directly attached to the wheel in true F1 tradition and feature rubber-textured grips. 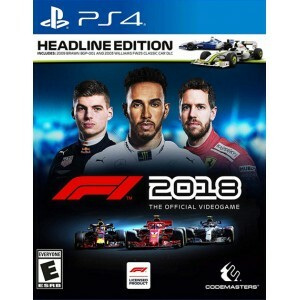 With the Ferrari F1 Wheel Add-On, T500 RS owners can now enter the world of the ultimate automotive racing challenge: Formula 1. 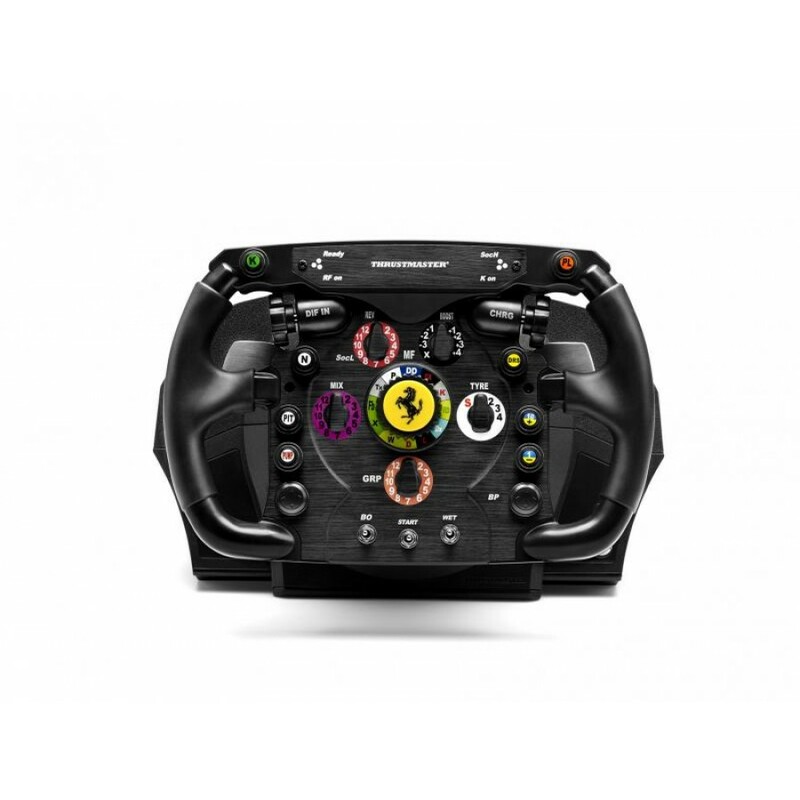 The extensive built-in equipment–rotary knobs, switches and action buttons–boasts professional quality, enabling each driver to make precision adjustments according to his own racing style and the conditions on the track. 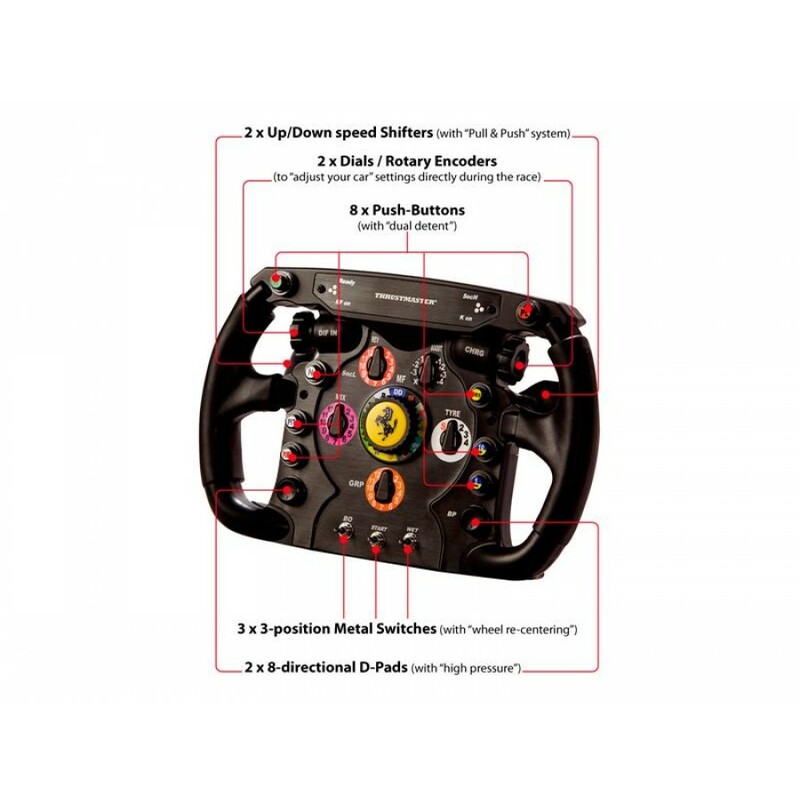 The racing wheel offers two rotary encoder switches (allowing direct, on-the-track optimization of the car’s race settings), eight push-buttons (with a 6.5 N dual-detent pressure), three 4.5 N metal switches with 3 positions and an automatic centering feature, two 2.5 N 8-directional D-Pads, and two up/down shifters. When it comes to system compatibility, 2 game modes are available: a PC- and PS3-compatible normal mode (offering 13 action buttons and 3 D-Pads, with 17 programmable functions) and an advanced PC-compatible mode (offering 25 action buttons and 1 D-Pad, with 29 programmable functions). 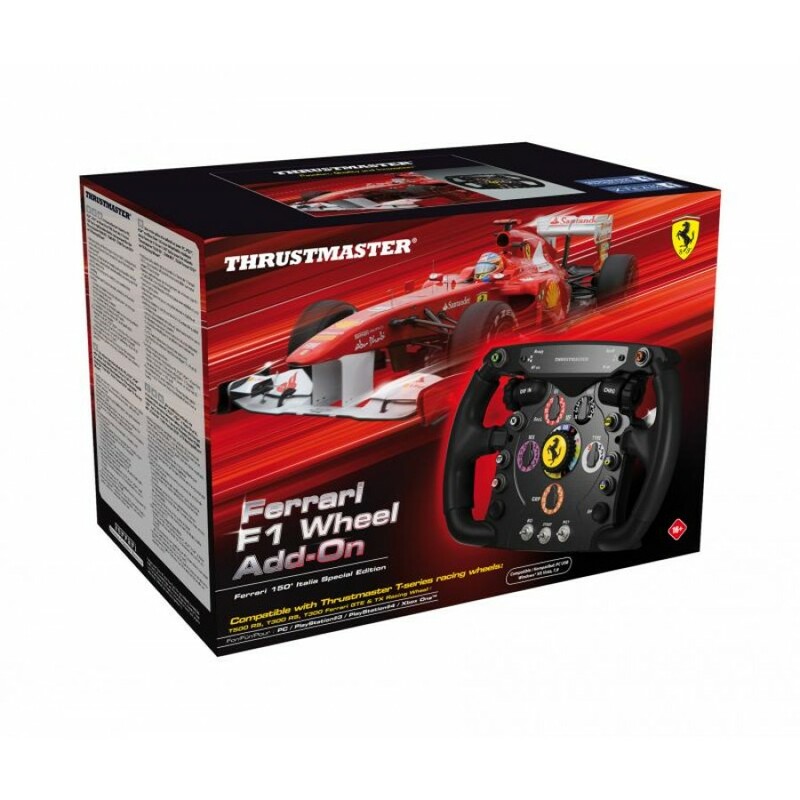 The Thrustmaster Ferrari F1 Wheel Add-On is a removable, life-size replica of the racing wheel that equips the Ferrari 150° Italia. 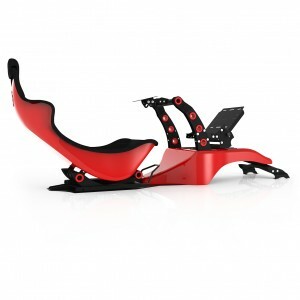 Designed to attach to the T500 RS wheel base (sold separately), it offers the power and precision that make this racing wheel such a unique experience. The Thrustmaster Quick Release attachment system enables users to easily attach the wheel face to the T500 RS base in just a few seconds. 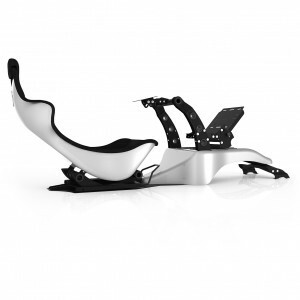 This innovative concept allows all RS Series wheel base owners to invest in the wheels alone to enjoy optimum realism in all types of races.